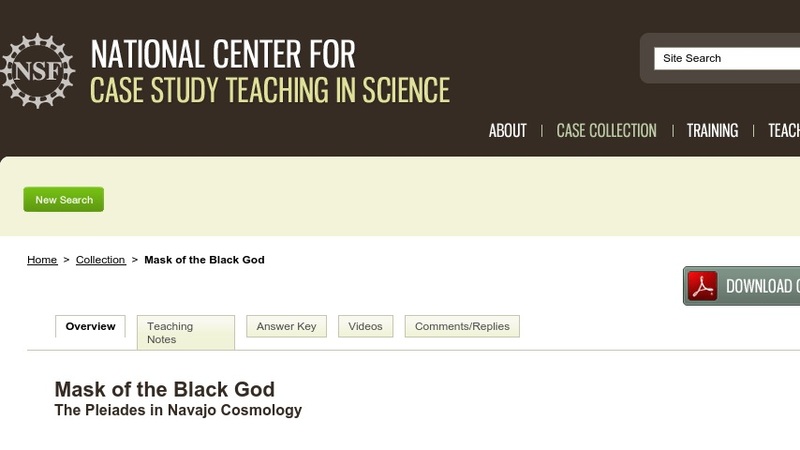 One Navajo legend attributes the creation of the primary stars and constellations to "Black God." Today, a famous star cluster, the Pleiades, often appears on the traditional mask worn by chanters impersonating Black God during special ceremonies. In this case study, designed for an observational astronomy class or introductory astronomy class with a strong observational component, students learn about the Pleiades in Navajo cosmology while developing their observation and star map skills.